After artist Aaron Moreno released his Farmer Vincent ‘Motel Hell‘ figure via a special lottery a while back, I thought that I had seen it all as far as what he would come up with next. And then I get wind that Aaron and his Retroband brand have taken it straight to the sewers and to 1984’s guilty pleasure of mine, C.H.U.D. for his next release. The figure has been unveiled and looks great! It even has UV glowing lights and the package card alone is enough to get the excitement juices flowing! 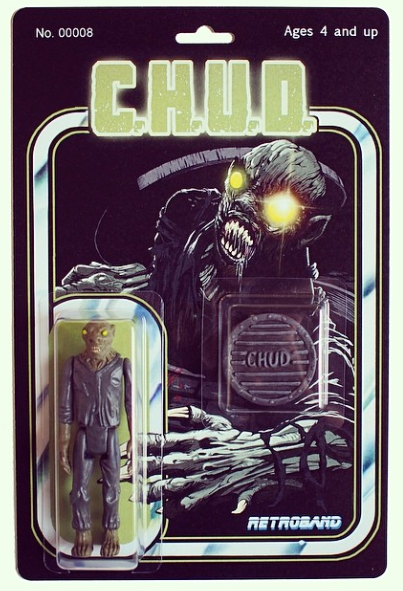 In the past, Retroband’s figures have been very limited, but no word on how limited this C.H.U.D. release will be or how much it will cost. EDIT: 55 figures will be available at $80 a pop. They go on sale today (4/30) at 7PM CST so follow Retroband on Instagram for more details HERE. 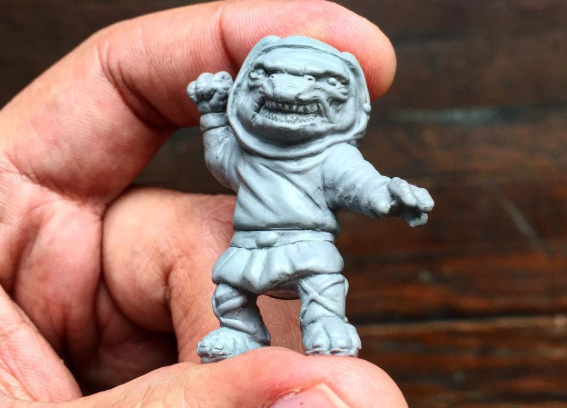 Horror Holiday Gifts: ‘Silent Night, Deadly Night’ Figure From Retroband! The last minute Xmas horror gift to end all last minute Xmas horror gifts is here: a Billy action figure from Silent Night Deadly Night. 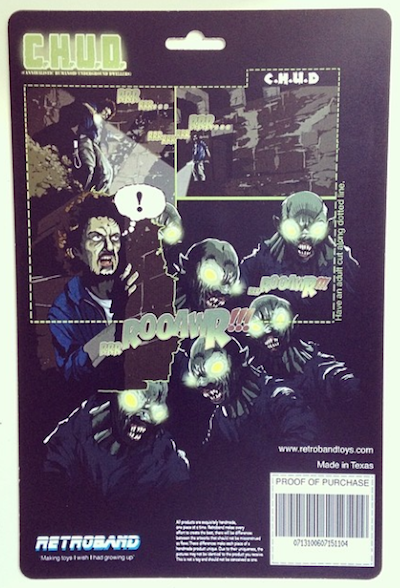 Yes, it’s for real and yes it will sell out in less than 2 seconds. If you’re not already familiar with Retroband, you should be. They make the horror toys that you always wanted as a kid, but thought would never become a reality. 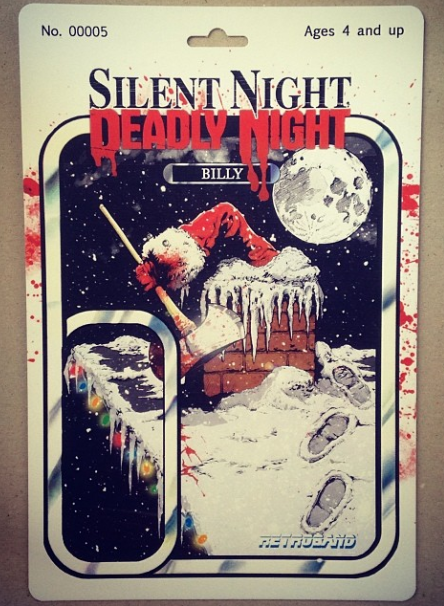 And this Sunday, an action figure based on the Billy character from 1984’s cult slasher Silent Night Deadly Night will indeed become a reality. Granted, that’s just the package card above that the figure will appear in, but trust me, the figure will be just as awesome. But check out the detail up there! And if that doesn’t get you into the Christmas spirit, I don’t know what will. Other than some delicious fruitcake from your Aunt Cindy of course. These figures are going to be extremely limited and should sell for around $60. Go over to Retroband’s Instagram page HERE for more details on the Silent Night Deadly Night figure and to keep you salivating in the meantime, here’s the back of the package card below including a pretty accurate drawing of Linnea Quigley’s 1984 breasts.